Barb returns! 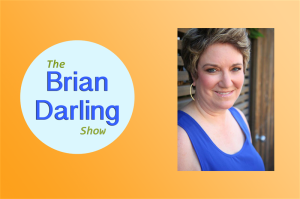 This time Brian and Barb discuss conflict in relationships. The top two reasons for conflict? Love and money. Barb handles the love side while Brian offers his financial advice. Barb Elgin has over 25 years experience in psychotherapy, counseling, and as a life coach. She works with couples, individuals, and even entire companies with the goal of helping everyone achieve happiness. Barb also hosts the Lesbian Love Talk radio show. Visit Barb’s websites at barbelgin.com and lastinglesbianlove.com for more.